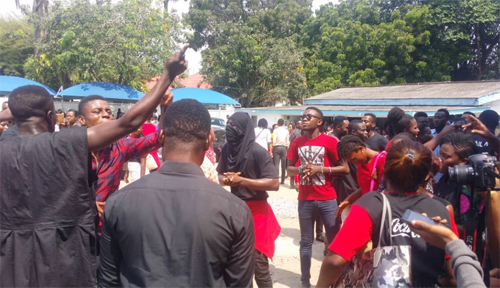 Some students of the Ghana Institute of Journalism (GIJ) on Sunday embarked on a demonstration to protest a decision by the management of the institute to prevent students who failed to pay school fees on time to write end of first semester examinations. Because the students did not pay the school fees early, they missed the deadline for registration for examination. 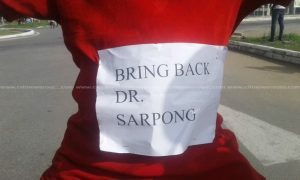 The demonstration was initiated by a few undergraduate students but by 12:50pm, more students had joined them. It took an intervention by personnel from the Ghana Police Service to calm the students down. The examination which had been planned for Sunday afternoon was postponed. 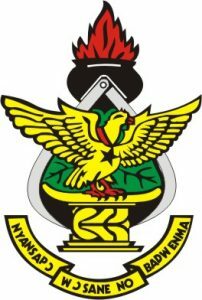 The President of the Graduate Students Association told Graphic Online that this is the first time students of the institute have been denied the opportunity to write exams because of non-payment of fees adding that there have always been ways that they are allowed to write the exams and afterwards pay the fees. Some students claimed they paid their fees in full but were prevented from writing the exams because they were not able to complete their online registration. Some said they complained about the challenges with the online portal and were told the issue will be sorted out only for them to be denied. 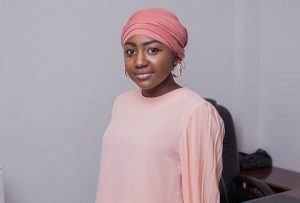 “I came to the school, went to academic affairs to complain about the challenges I am facing with registering on the online portal and was told the situation will be rectified,” one student said. The management of GIJ had earlier informed students before their registration that the school’s old style of paying fees had been changed so they will only be registered when they pay their fees. 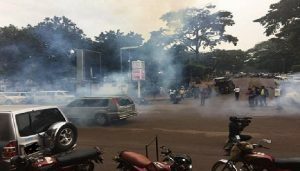 Students who were to write their exams in the afternoon after the first batch wrote a paper in the morning were asked to vacate the school’s premises until further notice.